Help keep your family safe from fast-moving fires with defensible space, smoke alarms, emergency plans. The region has been experiencing large, fast-moving fires that have damaged or destroyed homes. 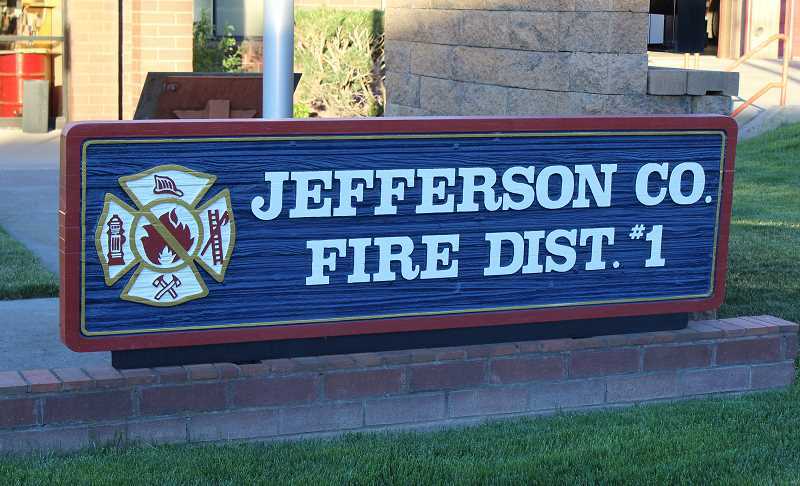 Jefferson County Fire District No. 1 wants to share some tips to help you and your family be more prepared. Remember life safety is most important. - Make sure you have a defensible space around your home for fire. - Make sure you have working smoke alarms in every sleeping room and level of your home. Have a working carbon monoxide alarm in your home. - Have an evacuation plan and kit with first aid, medications, important documents, water, and food for you and pets. Make list of things to take at a moment's notice. - Have your emergency contact information, name, number, relationships, etc. - Take pictures of all your household belongings — silverware, dishes, clothing, and tools, etc. — to help with insurance claims in case of damage or loss from a fire. - It's important to make sure you have mortgage and renter's insurance to protect yourself and replace any lost items. - Take pictures of printed photo albums, so they can be reprinted. - Keep fuel tanks, such as gas and propane, full in case you need to leave. - Avoid driving and/or parking on dry grass, as your vehicle can start a fire. - Dispose of smoking materials in deep, sturdy, noncombustible ashtrays. - Make sure butts and ashes are extinguished by using water or sand. - Never discard smoking materials on the ground or vegetation. - Level, 1 Ready: Pack your valuables. - Level, 2 Set: Prepare family, monitor the news reports, have evacuation plans. - Level 3, Go: An official notice from Jefferson County Sheriff's Office or Jefferson County Fire District No. 1. Take the evacuation steps necessary to give your family and your home the best chance to survive a wild fire.